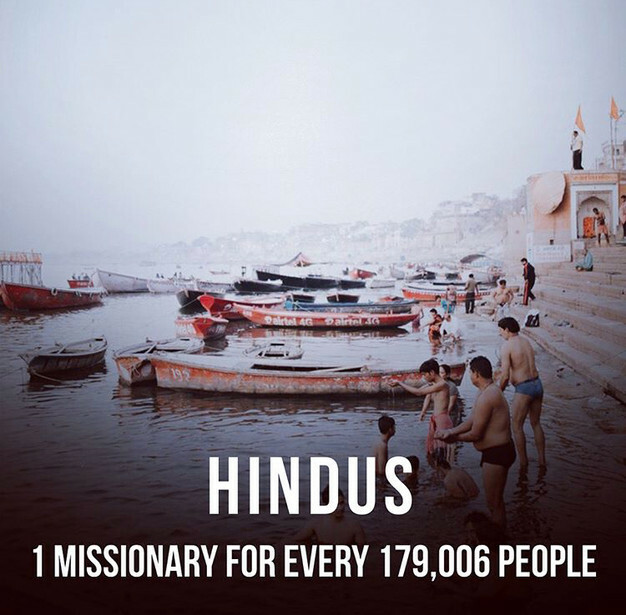 There is 1 Missionary For Every 179,006 Hindus in the world today. If that isn’t an imbalance, I don’t what is. Psalm 67:1-2 is an example of God’s heart to fill in these types of imbalances among His nations today, saying, “May God be gracious to us and bless us and make his face to shine upon us, that your way may be known on earth, your saving power among all nations.” We have been blessed with much, namely with the Gospel of Jesus Christ, for the purpose of blessing others. Pray with us this month as we focus in on the imbalance of missionaries, Bibles, churches, and followers of Jesus in the Hindu world. -Pray that God would raise up people to go to where the harvest is plentiful but laborers are few (Matt. 9:38). -Praise God for the many movements that have started amongst Hindu people, and pray for those who are being persecuted. For more information or ways to get involved email MaryB@purposechurch.com and visit JoshuaProject.net or download the app!